> ACCESSORIES > SPECTREX FLAME DETECTORS : 17 Items found. Protective Cover for SPECTREX SharpEye Mini (20/20) flame detectors. Tilt mount for SPECTREX SharpEye Mini (20/20) flame detectors. Air shield for SPECTREX SharpEye flame detectors. Rain cover for SPECTREX SharpEye 20/20MI flame detectors. Stainless Steel housing option for SPECTREX SharpEye 40/40 series flame detectors. 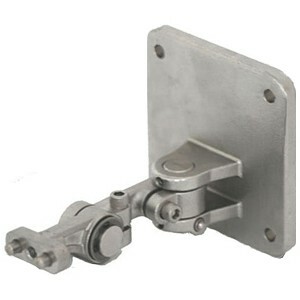 Tilt mount for SPECTREX SharpEye 40/40 series flame detectors, stainless steel. Weather cover (Stainless Steel) for SPECTREX SharpEye 40/40 series flame detectors. USB RS485 Harness Kit with RS485/232 converter, used with Spectrex Host software, enables the user to connect to any available PC or laptop to re-configure settings or perform diagnostics on all 40/40 and 20/20 series flame detectors. Includes Host Software. USB / RS485 converter kit for PC / laptop USB port on 20/20MPI series flame detectors. Includes software. Air Shield for SPECTREX SharpEye 40/40 series flame detectors. 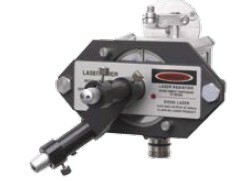 SPECTREX SharpEye Laser Aimer for 20/20 Mini flame detectors. Duct mount for SPECTREX SharpEye 40/40 series flame detectors, stainless steel.